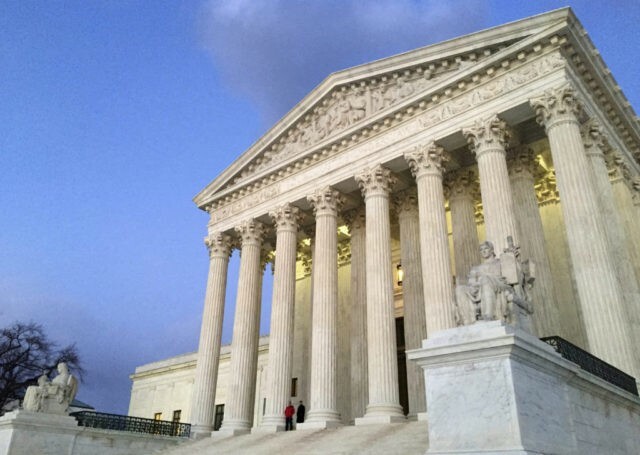 By announcing his newest Supreme Court pick in July President Trump will be quietly putting red state Democrats in a position where their confirmation vote will tell the tale on their Second Amendment position. Sens. like Heidi Heitkamp (D-ND), Joe Manchin (D-WV), Joe Donnelly (D-IN), and Jon Tester (D-MT) will find it difficult to vote against the justice while simultaneously trying to convince constituents they are pro-gun. During an interview for a upcoming episode of Bullets with AWR Hawkins, Breitbart’s Ken Klukowski suggests the Democrat Party is actively trying to shame Trump into not nominating a justice prior to the election because they want to avoid forcing red state Senators to take a position. Short of shaming Trump, the Democrats are trying to say Senate Majority Leader Mitch McConnell’s (R-KY) handling of Merrick Garland proves a justice cannot be confirmed in an election year. Klukowski noted that Trump’s nominee will likely be wildly popular in red states because of their pro-Second Amendment track record. Red state Democrats are going to be forced to chose sides.